Sorry, we are currently sold out of 'Sunshine Package D Deluxe'. Please check back later. 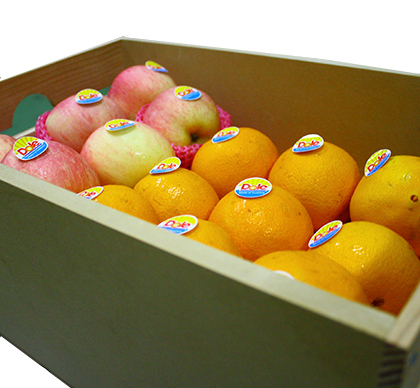 Bring health and good wishes with every Expressregalo Fruit Crate filled with delicious and sun-kissed fresh Dole fruits. Each set includes... Our pine wood accented custom wooden gift crate is 5x10x14 inches. It's designed to be kept and reused for storing and organizing items at work or home. Send your gifts anywhere in the Philippines with expressregalo.com.